We provide a wide range of dental services, including both general and specialist procedures, in a single location for your convenience. We have worked hard to provide our patients with a tranquil setting, and our practice is a calm and serene space, with ample natural light and beautiful surrounds. Our dentists and team of professionals take pride in the exceptional dental care that they have to offer. Preventive care is the focus of Kumeu Dental. Our hygienist Gerri is an essential part of this aspect of our practice. At your routine preventive care appointment you will have an evaluation to determine if you are experiencing any form of periodontal disease (gum disease). After determining the level of your oral health, we carry out a coordinated care approach that helps ensure the health of your smile for years to come. Depending on the severity of these risk factors, we create an individual care plan that may include routine hygiene appointments, surgical removal of calculus and plaque, removal of stain and the use of decay-preventing agents. Along with a tailored home care plan, routine hygiene services help maintain the health of your teeth and gums, preventing severe gum disease which would otherwise lead to tooth loss. Many patients now request removal of their old amalgam fillings, based on aesthetic and health grounds. The safe, biocompatible alternatives to silver amalgam fillings include composite resins and ceramic (porcelain) restorations. Porcelain is, in our opinion, certainly superior in terms of aesthetics, as the fillings look natural and mimic tooth material beautifully. Both of these materials blend in naturally with your tooth enamel to create an aesthetically pleasing restoration that typically goes unnoticed by other people. We use ozone therapy in conjunction with other treatments because of its bactericidal effect on bacteria and tooth decay. Ozone therapy uses highly concentrated oxygen in the O3 form to disrupt infected cells and promote healing. 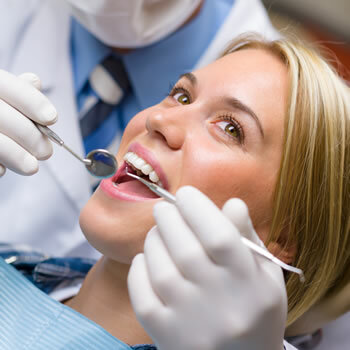 Sedation services are available for patients that are anxious about receiving dental treatment. Our team of dentists can provide any root canal therapy that you may need right here in our office, without patients needing to be referred to an off-site specialist. 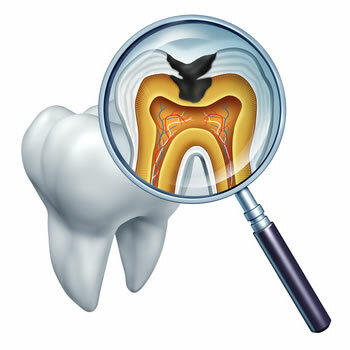 Root canals are necessary when inflammation and infection has entered into the nerve of the tooth, causing acute pain and damage to the tooth. 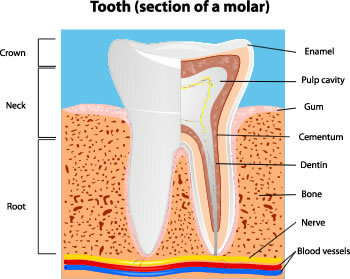 Abscesses along the tooth allow toxins to spread into adjacent areas such as the jaw bone. Patients experiencing these symptoms are often very uncomfortable but can expect to receive prompt care by one of our dentists. Because the nerve of the tooth is inflamed, our treatment focuses on the removal of diseased tissue. After removing damaged nerve tissue, we prepare the nerve chamber of the tooth for a full root filling along with a crown to prevent the infection from spreading. We use only the most modern titanium nickel files to ensure that the nerve canal of the diseased tooth is as clean as possible prior to sealing it with the root canal filler. A crown (or “cap”) is a permanent restoration that provides both functional and aesthetic treatment for a severely damaged tooth. Most patients prefer porcelain crowns due to their desired cosmetic results while at the same time strengthening the tooth. Prior to the crown being placed, the tooth must be prepared and have an impression made so that our high quality dental laboratory can create a custom restoration that blends well with the other teeth. We avoid using metal in our crowns and bridges, choosing all-ceramic crowns for the front teeth and zirconium crowns for the molars, due to their ability to withstand heavier function. Kumeu Dental recommends dental implants as the ideal tooth replacement therapy, but we understand that it is not appropriate for everyone. Bridges are used to replace one or two missing teeth, if there are healthy teeth on either side that can support dental crowns. A bridge is essentially two crowns with a false crown (or two) fused between, creating a solid tooth replacement that spans three to four teeth. Bridges present a viable alternative to patients with missing teeth. Custom-made mouth guards are one of the best ways to protect your teeth during sports and athletic activities, while also greatly reducing the risk of concussion. Many activities can involve an accidental blow to the mouth, where a generic appliance may fall out and not prevent a concurrent injury in the same blow. 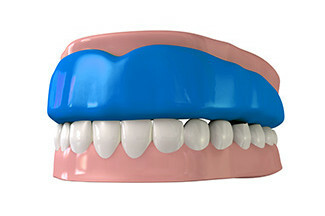 Our mouth guards are designed to cover the upper teeth, avoiding broken teeth and lacerations to the lips and tongue. The custom fit provides a secure device that is easy to talk, drink, or breath with during your activity, and it will stay in place if there is a blow to the face. The function of oral tissues and anatomy can interfere with breathing during sleep, including triggering snoring, sleep apnea, or other sleep disordered breathing problems. We use a custom-made dental appliance called a mandibular advancement splint, which helps to naturally eliminate snoring by repositioning the jaw into a correct position when you sleep. These appliances are effective in reducing snoring and in some cases can eliminate the need for other devices such as the CPAP.